At the time of choosing a wedding gift, you need to make sure that it is exceptional as well as romantic. It also needs to symbolise the occasion and become an immense sentimental value cherished for a long time by the recipient. 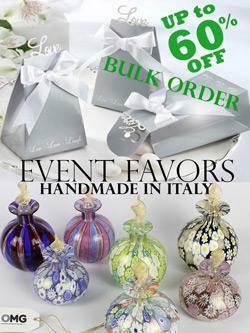 Original Murano Glass wedding gifts fulfil these criteria completely. Go for a Murano glass vase or sculpture available in a wide range of traditional and contemporary designs to meet every taste and preference. The blown Zen vases selection in gorgeous colours, shapes and patterns can prove to be an excellent choice. Similarly, you can choose a Murano glass sculpture from categories such as animals, birds, abstract selection, aquariums, limited edition artworks, etc.